Exciting Things in Drayton Valley! IRSI is excited to be teaming up with Drayton Valley’s Bio Mile & Clean Energy Technology Centre to begin our demonstration period. We will be operating the Ulysses pyrolysis system for six to eight months in Drayton Valley. Working with a collection of stakeholders in the town, IRSI will be demonstrating the first ever continuous feed pyrolysis system of this size! Alberta Innovates Technology Futures will be on site preforming performance validation testing on the entire system. The feedstock or fuel for the Ulysses system will be sourced from the local Weyerhaeuser sawmill and will be clean, chipped wood waste, which is ideal for high-grade biochar production. During the demonstration period testing will also be completed by AITF on the feedstock and biochar by-product. IRSI’s goal for the demonstration period has always been to confirm the economic and operational viability of the Ulysses system. We are extremely fortunate to have found a receptive community and collection of businesses in Drayton Valley that are willing to take part in this exciting opportunity. 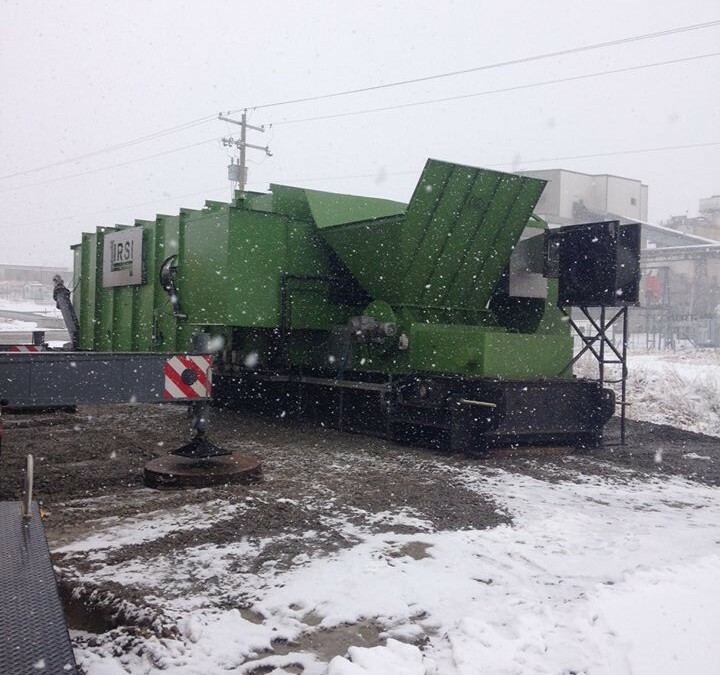 The Drayton Valley Bio Mile offers an ideal environment for the operation of the Ulysses pyrolysis system and the production of high-grade biochar. The biomass that will be run through the Ulysses system currently has no market and therefore is a concern for the sawmill, the final biochar product has a burgeoning market throughout North America (as discussed in previous posts), the potential for combined heat and power as well as carbon offsets has huge potential for businesses within Drayton Valley, and the further development of the Bio Mile and the work being done by the CETC is a cornerstone of IRSI’s demonstration project. IRSI hopes to showcase the Ulysses system as a viable option for dealing with large volumes of woody biomass and sees huge potential for the town of Drayton Valley to establish themselves as a hub for high grade biochar production in Canada. The stakeholders involved in this project include: Alberta Innovates Technology Futures, Albert Innovates Bio Solutions, Industrial Research Assistance Program, Bio Mile & Clean Energy Technology Centre, Valley Power, The Town of Drayton Valley, Mojo Trucking, as well as a number of other parties interested in the Ulysses technology, possible applications, and the biochar by-product.